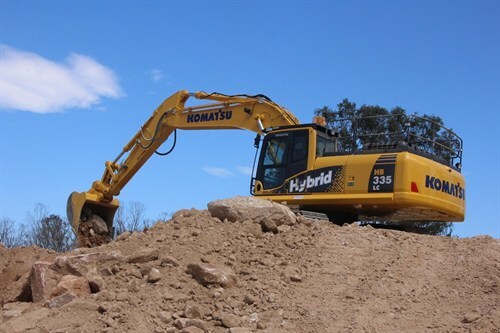 Komatsu Australia has announced the addition of a new 35-tonne model to its award-winning Hybrid excavator range. The model, developed following huge customer demand, was officially launched in Australia and will make its way onto the global excavator market. The new HB335LC-1 features the same Komatsu-designed Ultra Capacitor-based slew energy regeneration system as on Komatsu's 20-tonne class HB205-1 and HB215LC-1 Hybrid excavators. The original hybrid excavator line-up was launched in 2011 and according to Komatsu is the first range of commercially available hybrid excavators on the global market. Komatsu Australia National Business Manager-Construction Amber Rickard says the release of the 35-tonner was a logical development for Komatsu, particularly in the Australian market. "Our initial Hybrid range was developed around 20-tonne class machines, because that is where the largest sector of the market is globally," she says. Komatsu Australia was chosen to host the global release of the HB335LC-1 and has also handed over the very first unit in the world. As with its larger counterparts, the HB335LC-1 combines a number of unique features to deliver fuel savings and environmental benefits. It combines Komatsu’s Ultra Capacitor with an inverter, motor generator and electric swing motor and the engine, all optimally controlled to suit the work situation. This regenerated energy is stored in the Ultra Capacitor, used by the electric swing motor to rotate the upper structure and also utilised by the generator/motor to assist the engine wen it needs to accelerate – reducing fuel consumption and operational costs significantly. Rickard says the HB335LC-1 will bring significant fuel-saving and C02 reduction benefits to 35-tonne class excavators. "Depending on application, customers will see an average fuel consumption saving of 20 per cent from our new 35 –tonne Hybrid excavator," she says. "We expect this saving to be greater in certain applications-similar to those seen in our 20-tonne class Hybrid excavators." 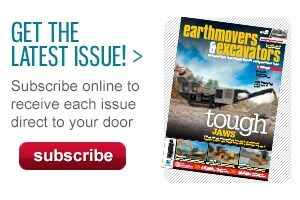 Find out more about the new model or Komatsu’s Hybrid excavator range on Komatsu Australia’s website. 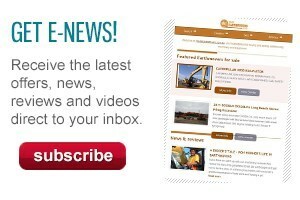 Click here to find Komatsu excavators for sale. Click here to look up Komatsu excavator specifications.